My rear struts are shot, rear end is all over the place when I hit a bump going around a corner. Pretty dangerous condition I'd say! Car is a '96 Maxima GLE auto w/ 255k. Can someone give me a run down of the procedure for replacing these? I've done the fronts before and it wasn't bad. Looking quickly at the rear, I wasn't able to find where the strut bolts up top. Looked like perhaps you access it from the trunk, but I didn't see it there. I must be missing something. I have new struts and mounts (a splayed rubber bushing is what it looks like) ready to go. Is there anything else I need? Also, will I need an alignment afterward? Any help you guys can provide on the subject would be much appreciated! Last edited by Fakie J Farkerton; 10-06-2018 at 04:13 PM. You have to pull back the liner in the trunk to see the top nuts. 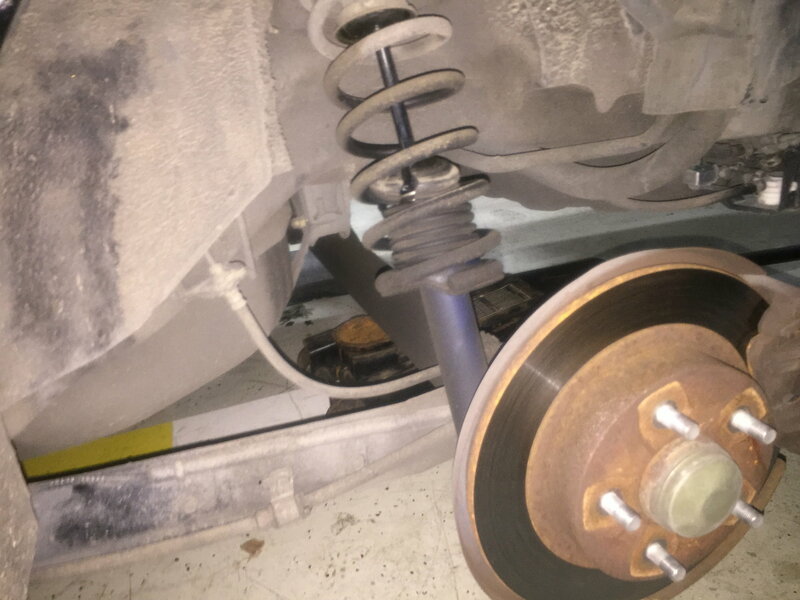 You do not need an alignment after replacing the rear struts. You guys are awesome, didn't realize I had to pull back the trunk liner, makes sense now. Would have gone the quick-strut route, but Rockauto had good name brand struts & mounts on closeout at the time. Replacing the rear is the same as the front I assume? 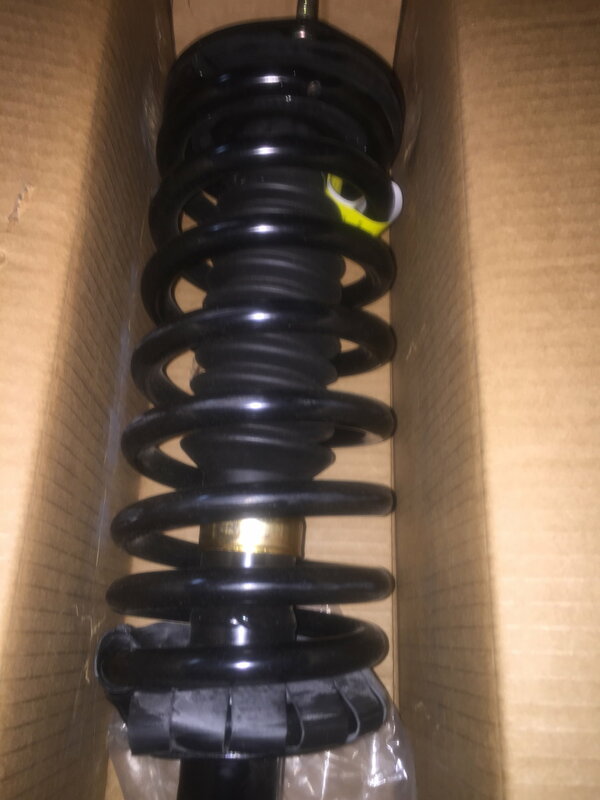 Remove strut assembly from car, compress spring, remove top nut, and then go in reverse with new parts? I just did this on my 2000. If you look in the 5th forums you should find one with my comments on my struggles. I hate Monroe for issues with the quick struts and I had "FUN" swapping just the strut this time around. In theory its easy but my experience was a super duper pooper hastle. Last edited by MichMaxFan; 10-06-2018 at 06:29 PM. 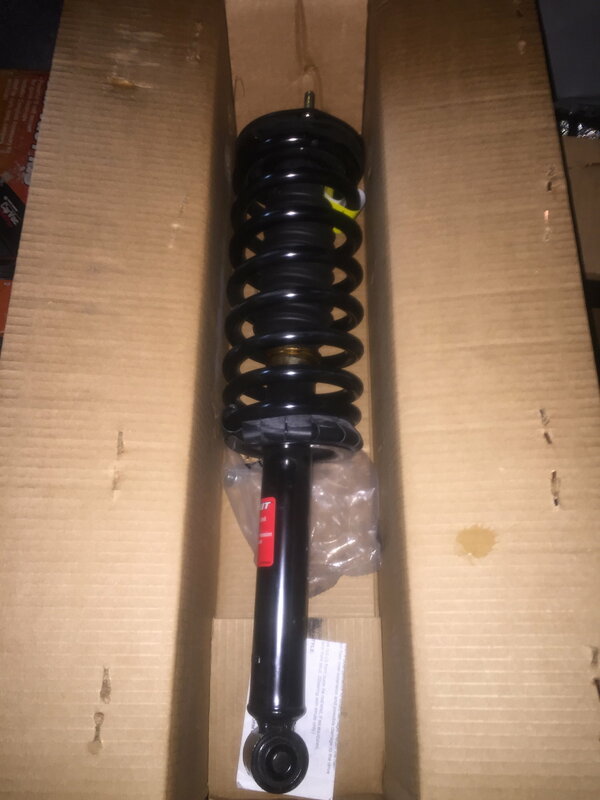 I'm about to install Monroe Quick Struts 171293 in the rear. 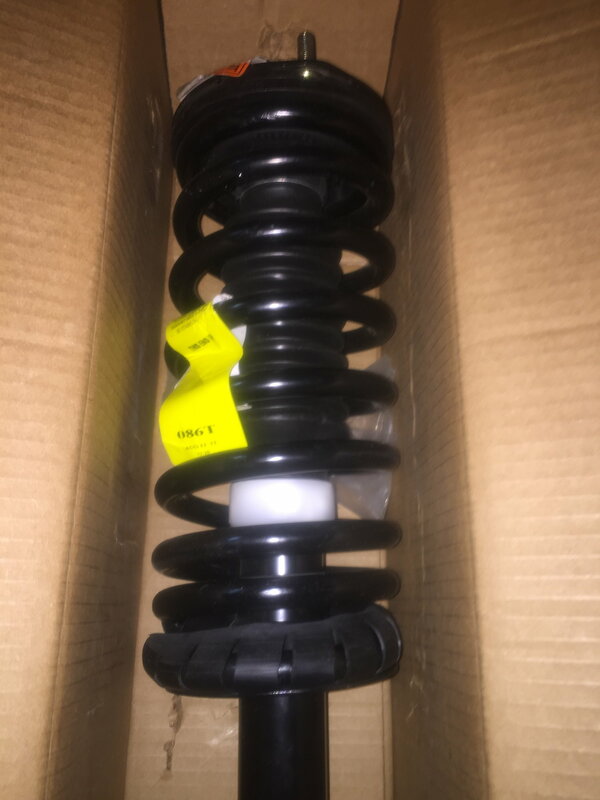 Do I need to rent a spring compressor to install these complete assemblies? 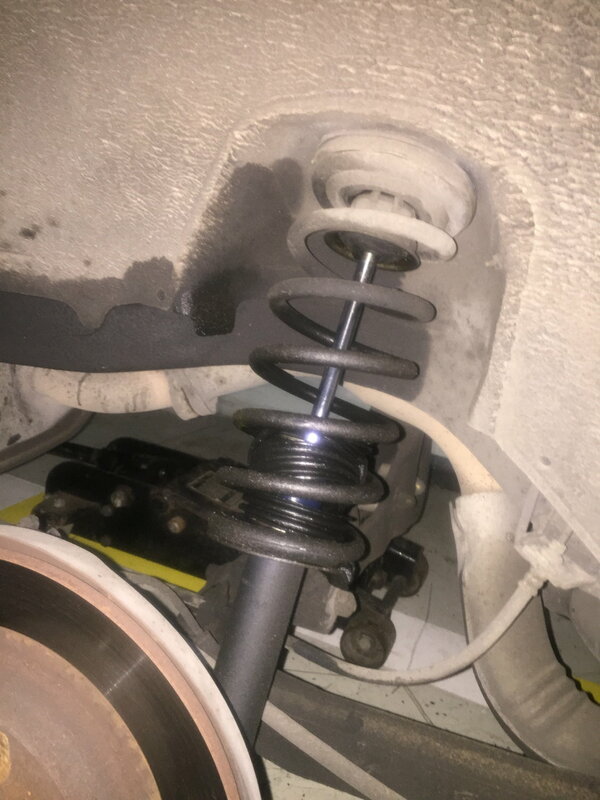 Save your old springs (mark right and left) and assorted hardware from your OEM struts. 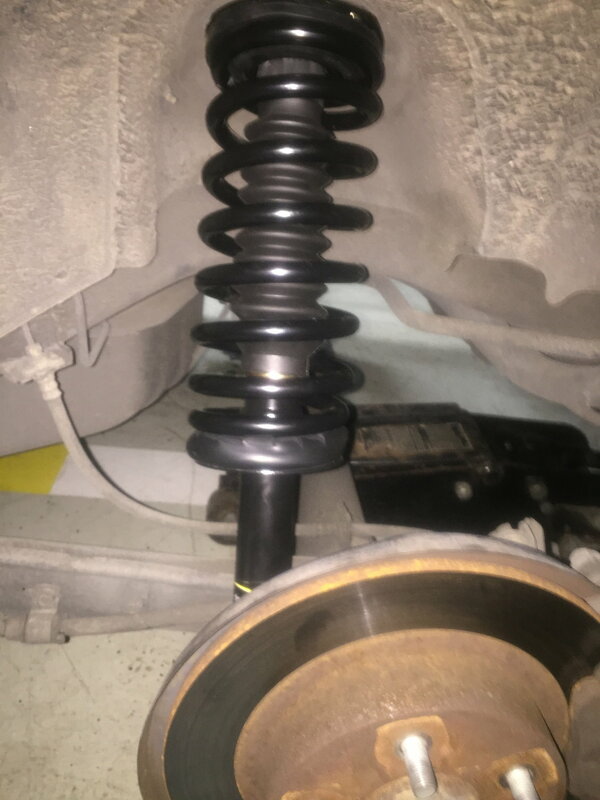 In case you decide to go back with new struts and the other OEM new parts that wear. I had Monroe quick struts and then Moog problem solver struts. They all sucked and quickly got real noisy as the spring insulators gave up the ghost pretty fast. Strut mounts and bearings too on the fronts. IME, junk. 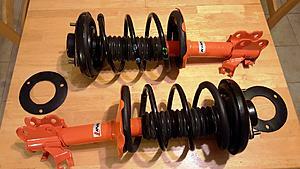 Back to OEM everything except Koni STR-T struts (orange). NICE! 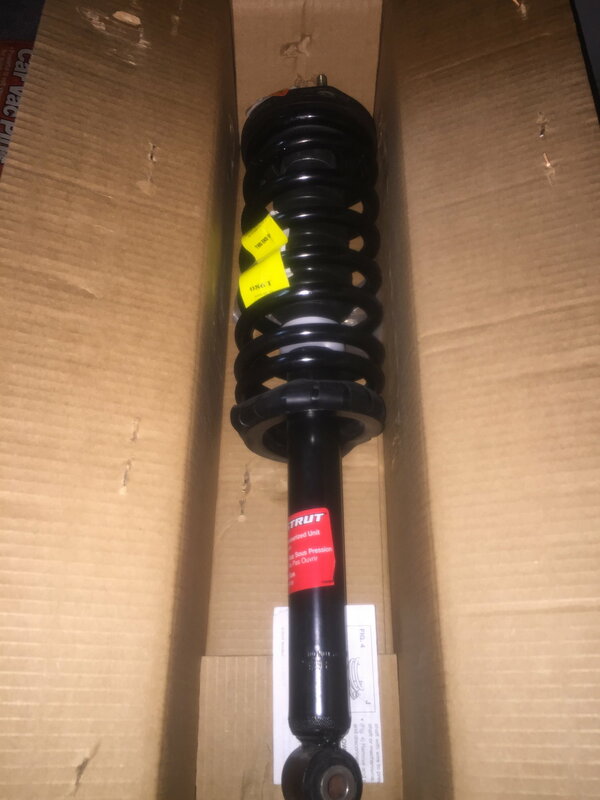 What I have on the car now isn't OEM - it's another Quickstrut, installed by the PO. Got OEM part numbers that you mate up with those Koni Orange struts ? @RWS, cheap no-name quick struts are garbage, but Monroe's quick struts are much better. The cheap Chinese brands like Unity, Leacree, etc. rarely last 10k. When installing the new quick struts, install the top nuts first. Once the top nuts are on, then get a long screwdriver and turn the bottom eye until it is at the correct angle for the bottom bolt to go in. 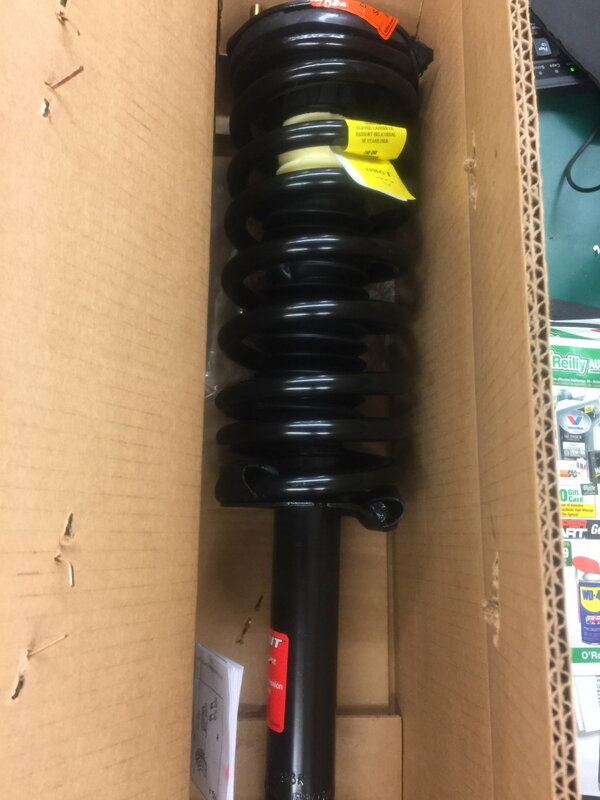 I bought two Monroe 171293 rear quickstruts from O'Reilly. They each look _different_ from each other - pics attached. One has a copper-colored, looks-like-a-firing-cap bushing, and one has a white rubber bushing. They both have bump stops inside the boot (although those stops are different colors, not shown). O'Reilly is going to order two more for me that I will look at tomorrow. I would of course like to install two matching units. "Which unit is correct / "more correct"? 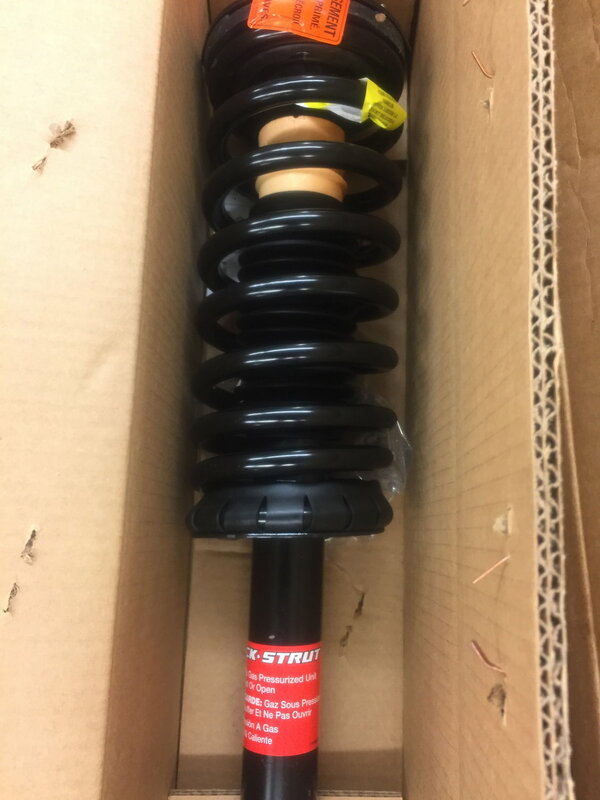 Photos of two more new in box quickstruts. They match each other in that their bumpstops are outside the boots - and that they both have the metal collar, not the white rubber bushing. I think I need the bumpstop inside the boot, and the metal collar. Kinda hard to believe that Im having to sort thru **** rebuild jobs. I shall await yet two more examples to arrive at the store and examine those. Last edited by reallywildstuff; 10-18-2018 at 03:31 PM. The Koni pic that KP posted is of the front struts, not the rear you bought, which is why the difference. What is shameful is the spring insulators. They will be short lived and the metal on metal noise will be annoying as hell eventually. If you look at the picture of my struts assemblies, you'll see the heavy walled heat shrink tubing I used for spring insulators. Then CS_AR followed my footsteps and did the exact same thing. It's an 1/8" thick and shrunk to be one with the springs where the noise happens. Other than that, the back assemblies RWS bought will be fine. It's when the fronts breakdown that the differences become more apparent. 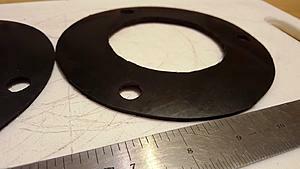 I also use home cut 1/8" sheet neoprene strut to body gaskets for more cushioning and quiet. I dont know about that...isnt the bump stop supposed to be inside the boot? the bump stops shown today are of a wider diameter than the boots - thus the boots cant be slipped up around them. Don't worry, you won't see the bump stops when the weight of the car sits on the assemblies! Well that may be. I am still going to wait for the next two to show up @ O'Reilly's before making a decision. All four of these Monroe Quickstruts arrived assembled in a different fashion than each other. One time, when I talked noise about a Bosch MAF on maxima.org, the Bosch Corporation actually sought me out on their own and arranged for a full refund. I wonder if anything like that will ever happen again ? Im at OReilly. Ive got one more of each kind (copper metal bushing, white plastic bushing) in front of me. I got the one w the metal collar. The boot didnt fit over the white plastic bushings, so I chose the metal instead. I don't believe this is correct. 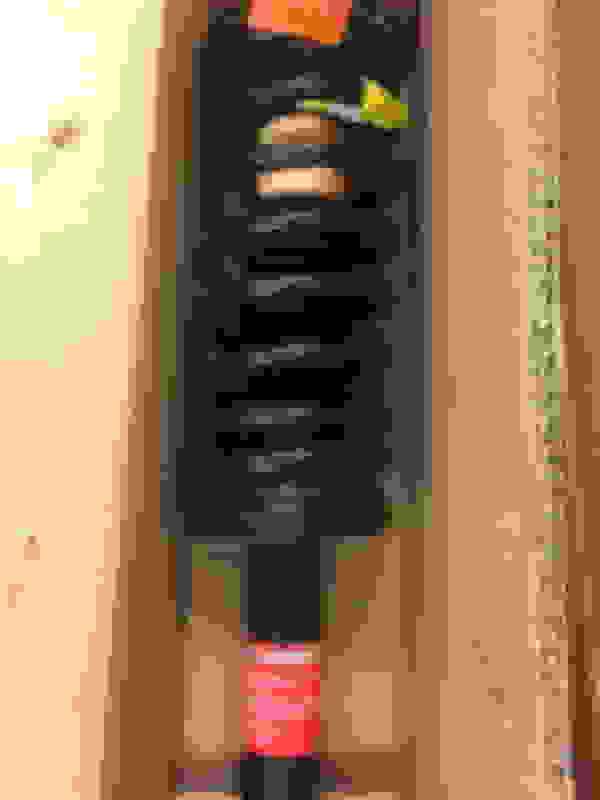 And I say this because the spring is pushing against the top and bottom and the top nut is tight as well. Forcing a turn is difficult at best and when I swapped my strut it specifically stated not to force it into position at the lower mounting location. 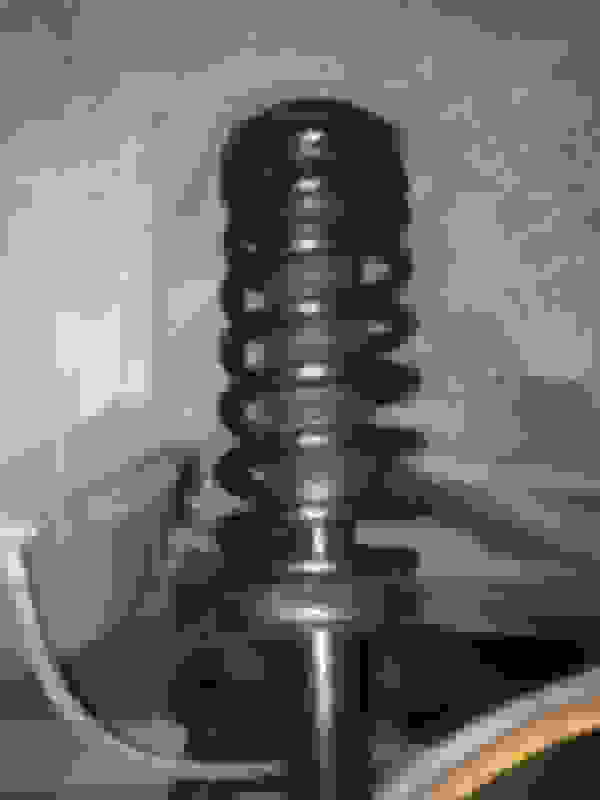 Unless,of course, you have the spring compressed. It was actually very easy. On top of that, it was less than a quarter turn required, anyway. There is a bearing in the top mount that specifically allows rotation, so you can turn it without the spring being compressed. QuakerJ - sorry to ***** your thread. Looks Great! I bet the car feels more stable, if the old ones were bad! So, you know the two top bolts need to be torqued to 15 ft pounds. 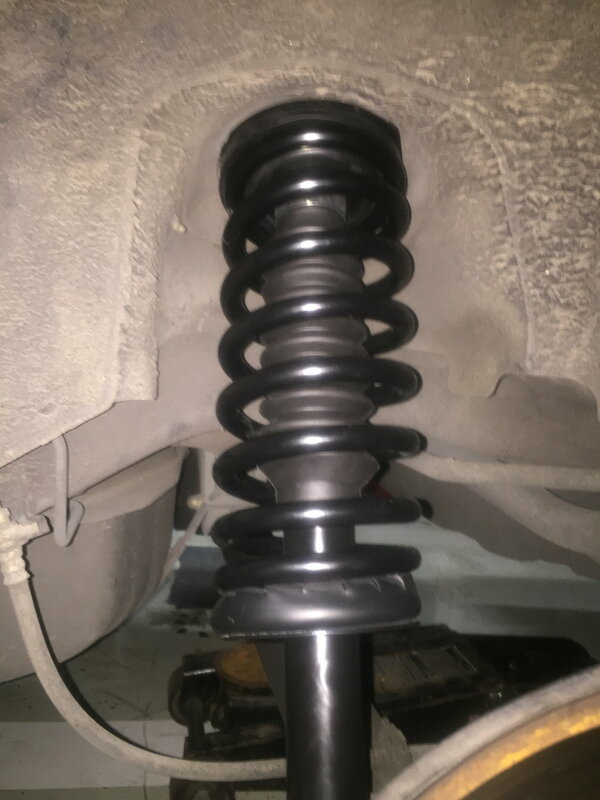 If you did that when the car was jacked off the ground, go ahead and retorque them with the wheels on the car and the weight of the car on the ground. There is no core deposit on the Monroe Quickstruts I just bought/installed. What am i supposed to do with the two old totally blown strut assemblies? 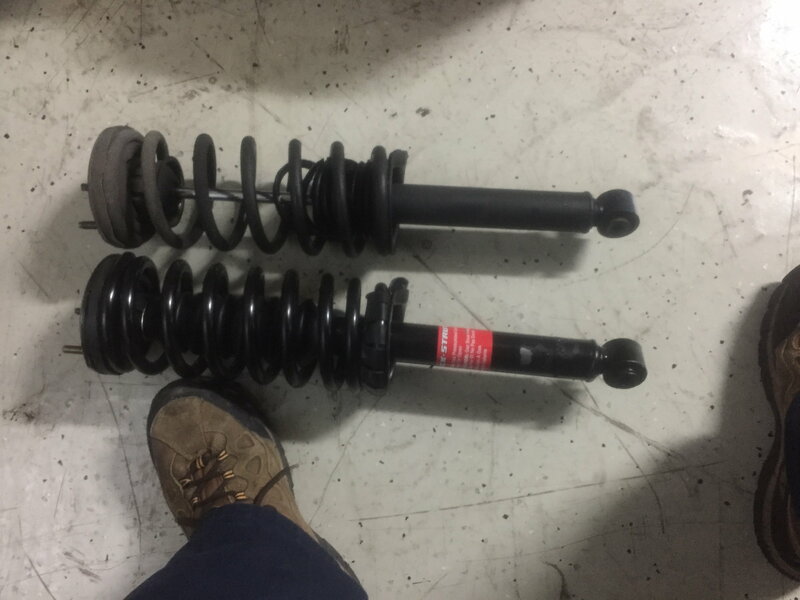 They were installed 1/23/2009 and 60k miles ago by an independent shop, and for the previous owner. These old units have a different number of coil springs showing than the new Monroe units. Is there anything of value worth holding on to on the used assemblies? Toss 'em and happy sailing! I found going through the back seat is much easier and you don’t need to pull the liner. Need instructions for replacing rear struts ASAP!!! !